After your host has ushered you inside, a feast of accolades and trophies welcomes you from the walls of the entrance before you are shown to your table. The Greenhouse boasts a decade’s worth of Eat Out Top 10 placements and a plethora of other acknowledgements. In particular, a large round plaque catches the eye: a gourmet award crediting the restaurant for serving cuisine that’s worthy of a flight. And indeed, it must be so, because snippets of caught conversation reveal the full-house of patrons to be Spanish, German, Swedish, American… and they’re all putting paid to Cape Town’s reputation as a global gourmet capital by dining at the establishment currently ranked 6 th in the country. There’s a smattering of loyal South Africans too, and even the President has been known to make Greenhouse his dining destination of choice. When a table is available, that is. The restaurant is not large, and is full most nights, up to two months ahead of time for dinner, but you may get lucky over a lunchtime on Fridays and Saturdays. 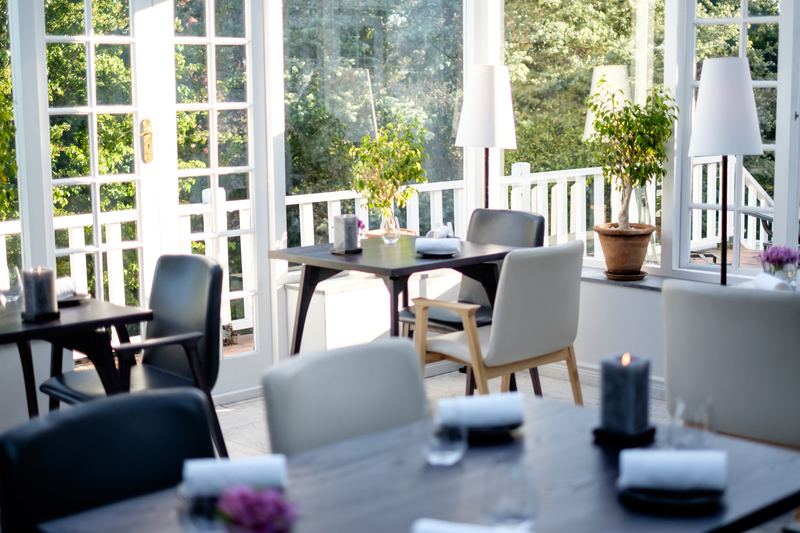 We were fortunate to secure a table for two on a Friday evening – any night in the Greenhouse is a fortunate one – and as expected, the restaurant was fully booked. We were seated in the attractive glass-covered alcove (ask for this spot if it’s available) where we watched the sky deepen over the lush trees outside and the moon rise beyond the shadowy outline of their branches. It was atmospheric in the extreme, aided by sympathetic low lighting and an understatedly stylish scheme that allows the food play hero. We opted for the slightly longer of the two tasting menus that form the winter offering under new head chef Farrel Hirsch. The transition appears to have been seamless as our meal was near flawless – the new seasonal additions to the menu as inventive as ever with regards to presentation, ingredients and flavour. Before serving as Head Chef on North Island in the Seychelles and at Four Seasons The Westcliff in Johannesburg, Hirsch served as Sous Chef at Greenhouse and now returns to his old stomping ground with fervour and ambition. The Journey is much as it states: your tastebuds will travel through a multitude of conceptual canapes, intriguing starters, a main, a traditional palate cleanser made in avant garde manner at your table, and more than one dessert (my kind of meal). The cooking style traverses the world – there’s Asian pork done French Confit, for instance – but cleverly returns to South Africa as a recurring motif. The menu pays homage to local in the form of “souped-up” mielie pap; boerenkaas in the cheese and tomato canape; a unique presentation device hammered out of copper and made to resemble a thorn bush upon which a “butcher bird” or Fiscal shrike would stock its insect kills (Greenhouse is famous for this unconventional plating and has maintained it on the winter menu); dark chocolate truffles crafted from Klippies and Coke; a local MCC Brut in the granita; sour fig; bao buns served in a bamboo steamer that have a texture that harks after ujeke (steamed pot bread); and so on. This patriotism of the palate is rousing for local guests and no doubt exotic and exciting for international visitors, serving to ground and locate them in their new yet temporary context, while at the same time tantalising them with such foreign tastes. No wonder that award mentioned earlier. It’s easy to understand why Greenhouse is the recipient of so much praise in the fine dining category. Exemplary service, stimulating presentation, plating akin to artistry, and an incredible array of flavor combinations all serve to delight and indulge the senses, with winter 2019 being no exception. Greenhouse restaurant appoints new Head Chef !